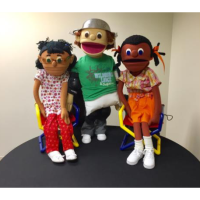 This bullying and school safety program and puppet show educates children about what constitutes bullying, promotes sensitivity towards peers and helps children avoid or cope with bad situations. Presented by The Family Nurturing Center. Suggested for children ages 4–8. No registration is required. For more information about the bullying and school safety performances, call 513-369-6900 or visit www.CincinnatiLibrary.org. Clifton Branch Library: Wednesday, Aug. 1, at 1 p.m.
Westwood Branch Library: Monday, Aug. 6, at 2 p.m.
Green Township Branch Library: Thursday, Aug. 9, at 2 p.m.
Anderson Branch Library: Thursday, Aug. 16, at 4 p.m.
Oakley Branch Library: Thursday, Aug. 30, at 3 p.m.